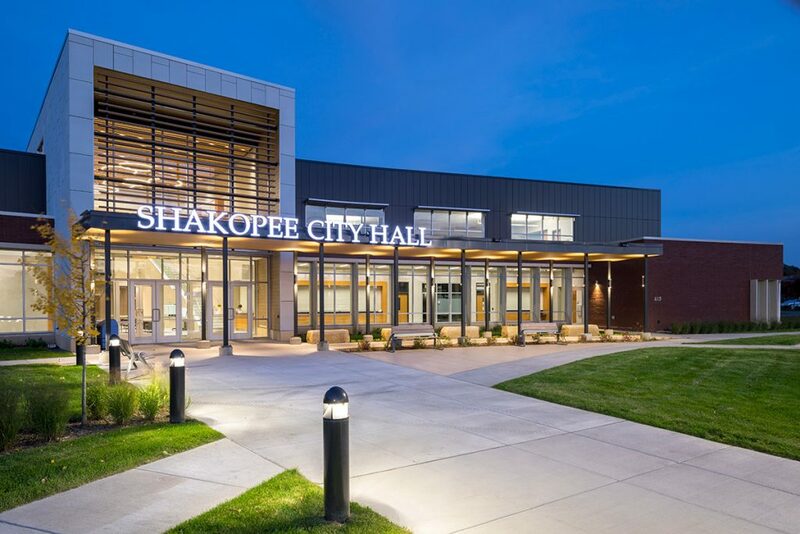 Shakopee City Hall had been operating in the downtown area in a renovated bank building since 1993. 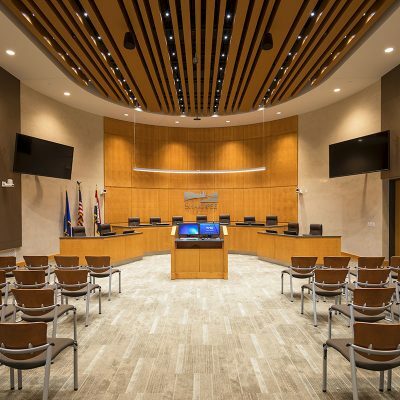 Due to the building’s location, options for expansion were limited and operationally the city departments had run out of space. 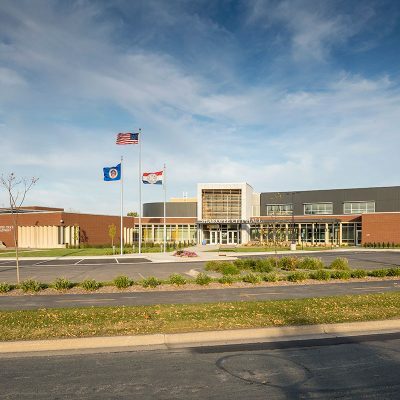 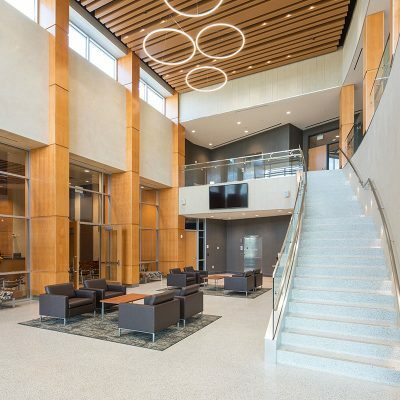 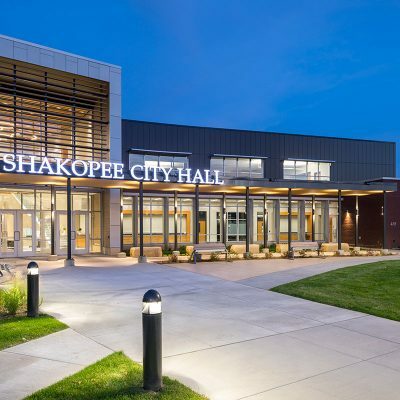 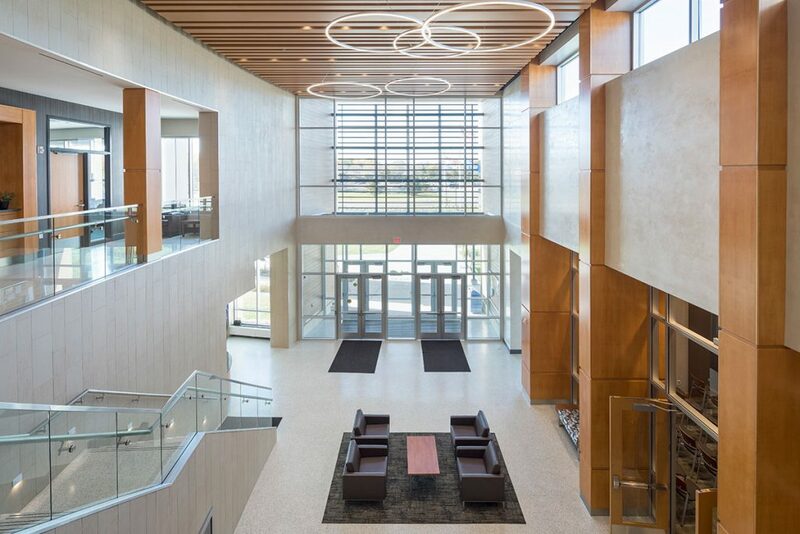 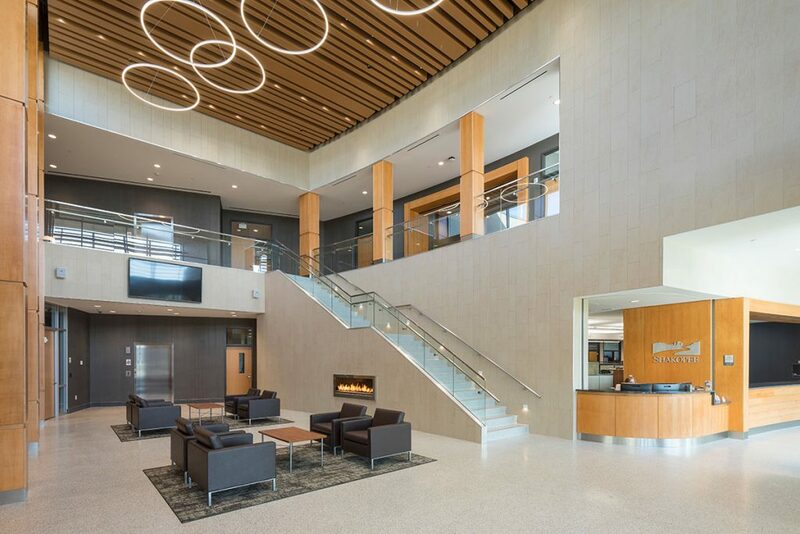 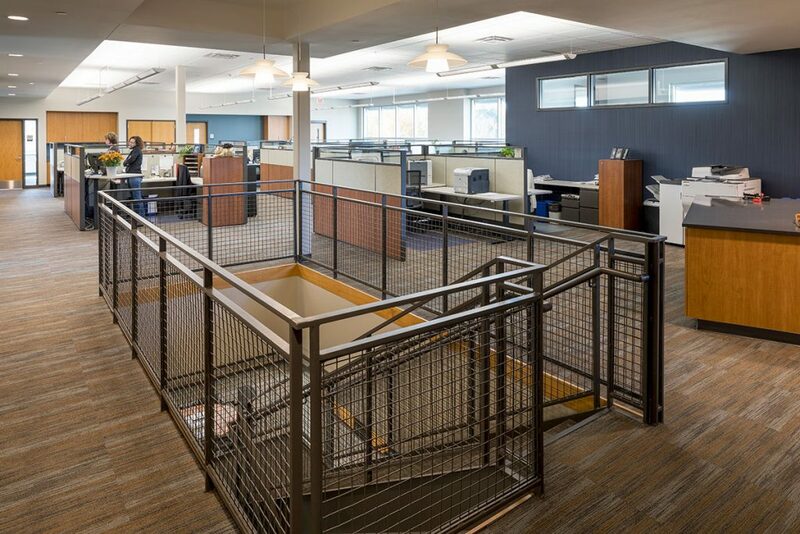 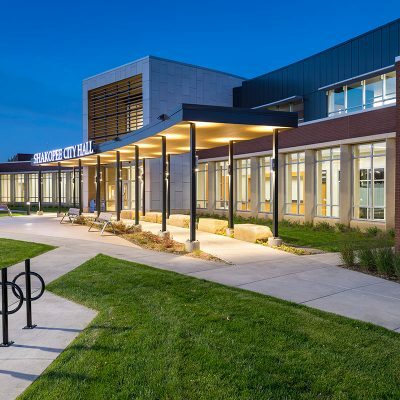 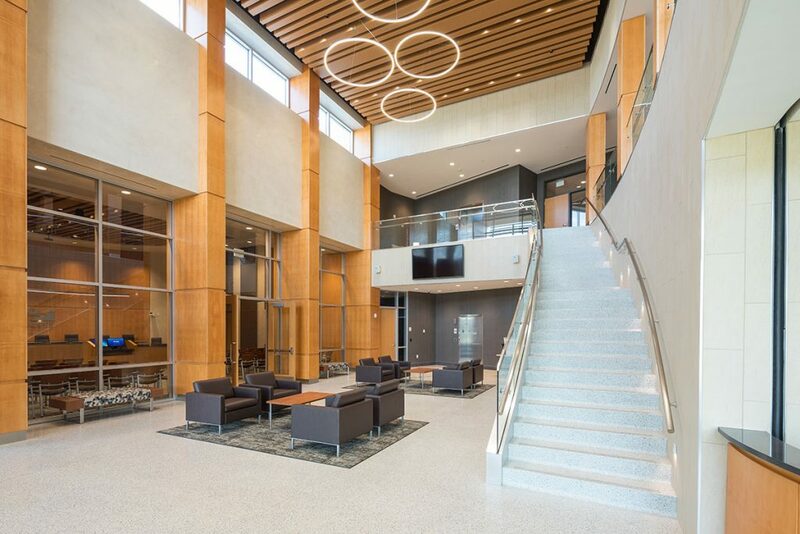 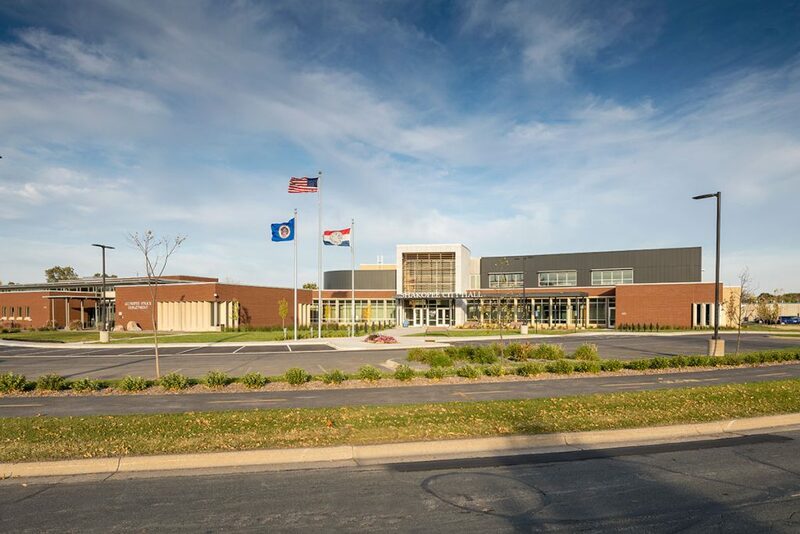 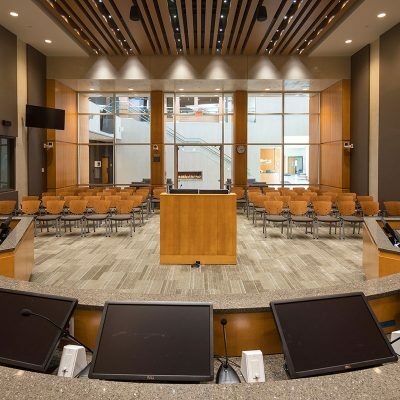 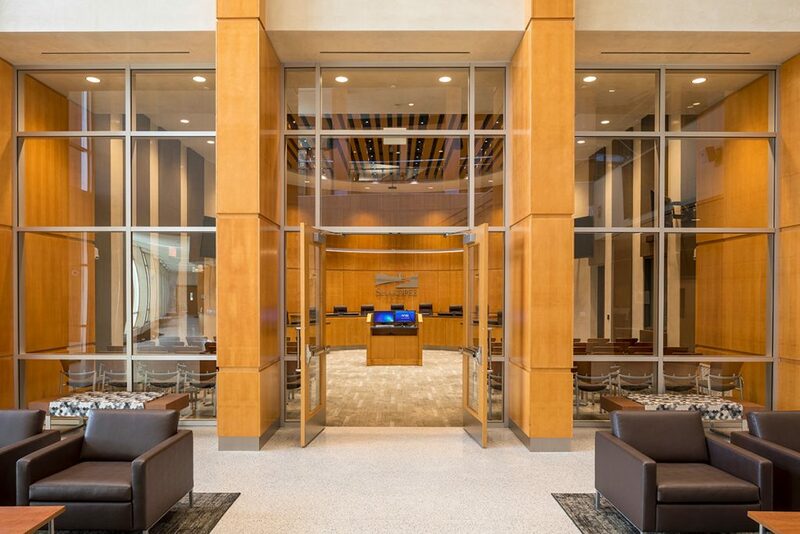 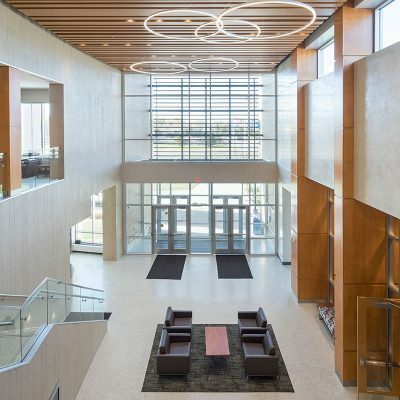 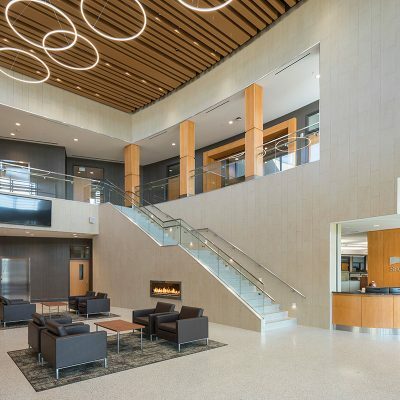 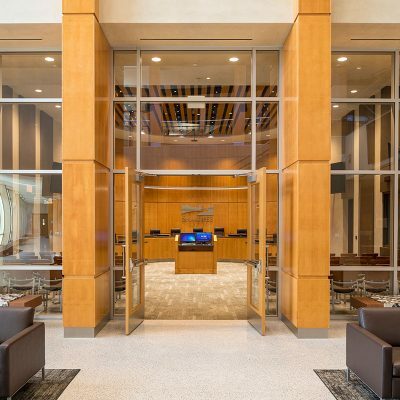 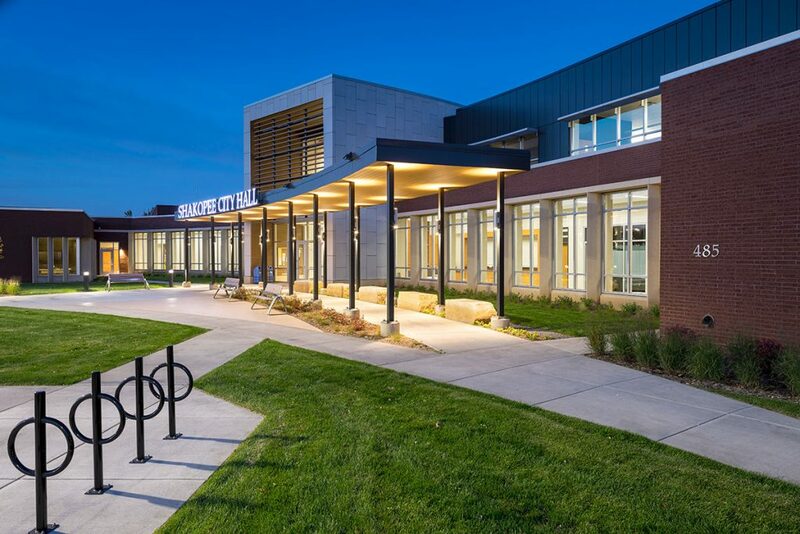 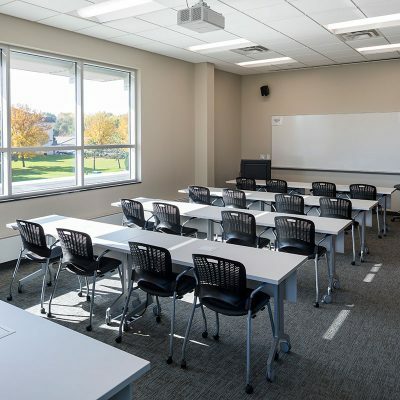 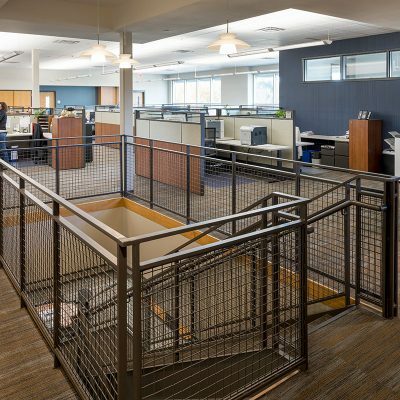 BKV Group partnered with the city to explore options to develop a new city hall that would allow the city to collocate city services into one facility and allow a single point of service approach for the citizens of Shakopee. 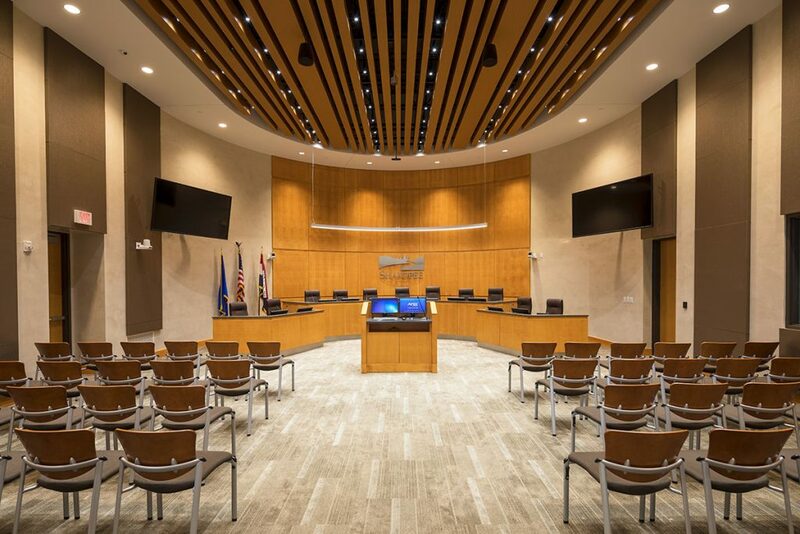 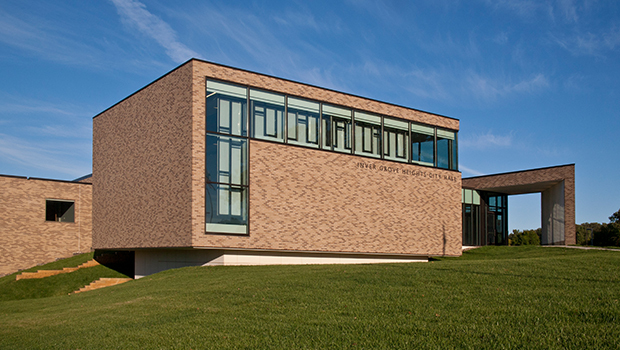 The new city hall was designed as an expansion to the existing police department building. 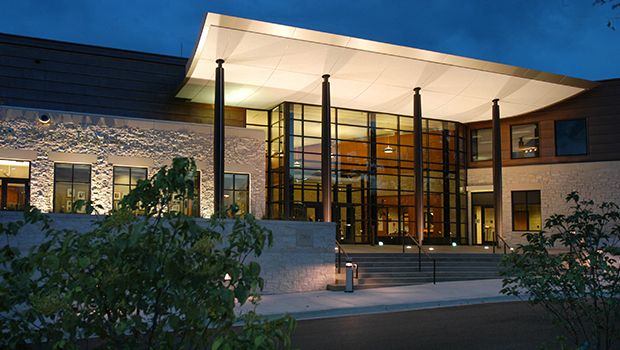 Public Works is located directly across the street creating a true integrated city campus. 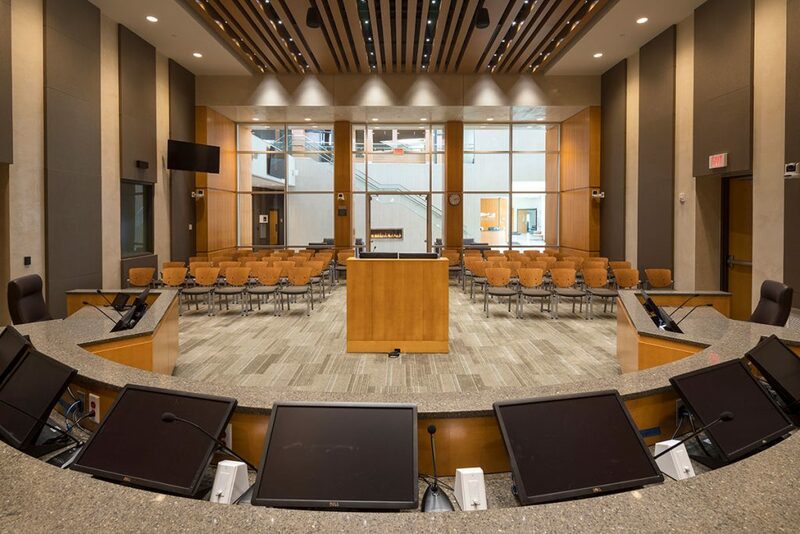 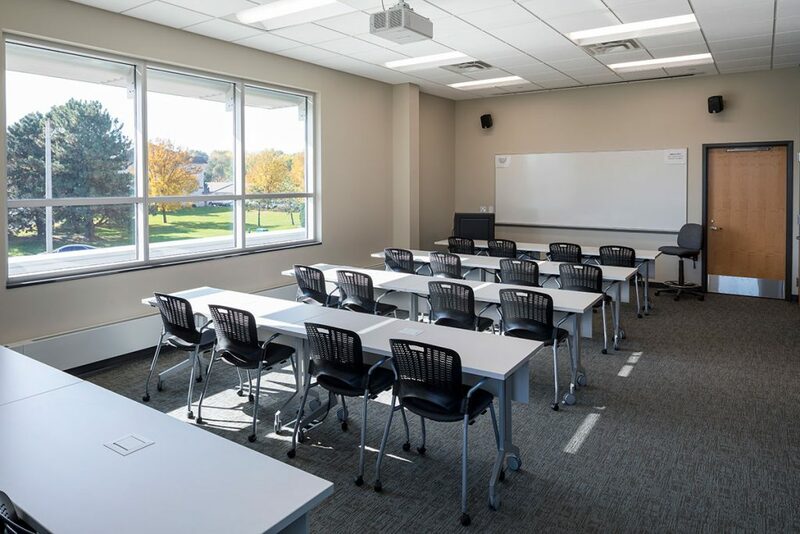 The new facility includes a state-of-the-art council chambers and large community meeting room designed to be available to the public. 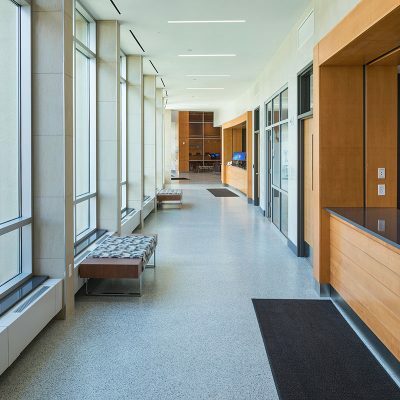 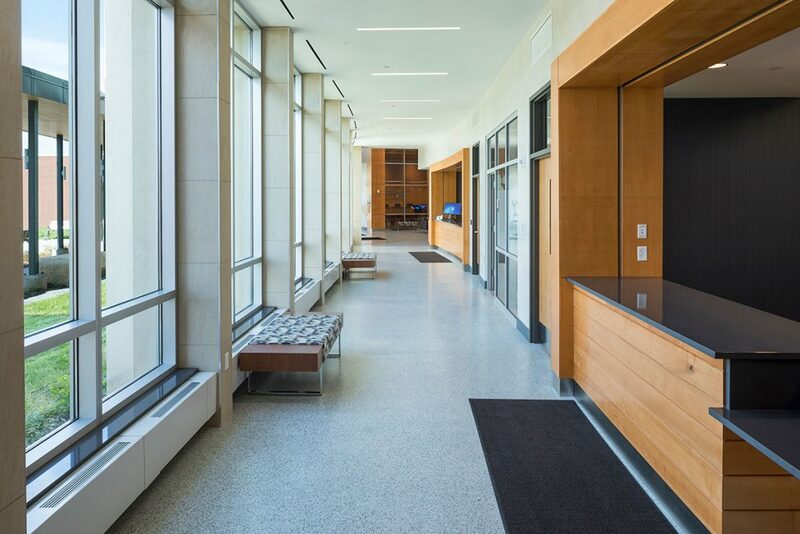 Key City services are located along a light filled public service corridor creating seamless opportunities to conduct business between the public and city staff.